– Helping Technology businesses to build long-lasting relationships with their clients. He believes that it is still nothing short of amazing, given the amount of money that organisations spend on it and its relative maturity in this day and age, that Technology is still implemented badly. This can be for a multitude of reasons – poor project set-up, ineffective governance, lack of methodology, failure to define and manage scope, poor choice of technology or partner, failure to recognise complexity, and so on. In John’s experience, the causes of failure are legion and startling, given the collective knowledge and experience of delivering and running technology during the past 30 to 40 years. Projects still run away, failures occur, costs mount, projected benefits are not delivered, divisions between IT and the business undermine good working relationships. John helps Technologists, Change Agents and Technology suppliers to overcome these challenges and to deliver by being an independent, trusted and credible advisor. For 25 years of a career which spans 40 years, John has worked in Retail Banking, as a Consultant, as a Technologist, as a General Manager, as a Chief Information Officer and as a Leader. Wedded to this, he has experience of a diverse range of organisations – mutual building society, mortgage bank, UK-based global banking giant, medium-sized UK subsidiary of an international Australian bank. In this time, he has seen and experienced most of the problems and challenges that small and big banks face from a Technology and Operations perspective. He has a track-record of delivering large-scale programmes of investment and for transforming complex operations and technology and of being a dynamic and collaborative leader, commanding credibility at Board level, with wide-ranging general management and strategic experience. He has excellent interpersonal skills for driving change, managing complex situations and influencing internal and external stakeholders. 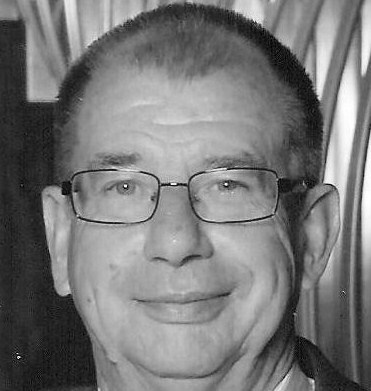 In another facet of his professional life, John is also a Trustee of the Avenues Trust Group and Chairman of one of its subsidiary companies, Optua (East Anglia). Both are social services providing a unique mix of services to adults and young people, with a range of complex and challenging needs, in London, East Anglia and the South East. John now works as an independent consultant, specialising in problem solving in a Technology, Operations and Change Management arena and in Programme Quality Assurance. Clients use John because they know he is a trusted advisor with masses of real-world experience. He doesn’t bring a pre-conceived agenda to the job, he has experienced clients pressures, he knows the difficulties and challenges and has dealt with the setbacks and enjoyed the successes. In all his assignments, his aim is to complete the job, deliver an outcome which is practical, which meets the needs of the client, which adds real value and which develops a strong and honest relationship (through which more work may follow). – With one of the largest global Technology companies, building its engagement model with some of its financial services clients. – In his most recent assignment at Nationwide Building Society, John undertook an interim role as Divisional Director, Group Transformation. During this time, he made recommendations on the future operating model for the Nationwide Technology function, helped to develop a strategic outsourcing programme and undertook a detailed Lessons Learned review for the core banking system programme. – As CIO at National Australia Bank, he led a programme of change across the UK franchise (annualised investment of over £100m) which included implementation of a new core banking system, decommissioning obsolete systems, and significant cost reduction. In parallel, he strengthened the Technology Leadership team and revitalised the workforce so that it became a trusted partner of the business. – During 2008, he also directed a cost reduction and efficiency improvement programme at National Australia Bank in order to drive down UK costs. – Between 2001 and 2003 at Barclays, John oversaw the Change Management function for the UK’s retail business, obtaining Board support and mobilising a programme to deliver major Technology change in the UK branch network. – As CIO at Woolwich PLC, John led the transformation of Woolwich IT into one of the UK’s leading technology functions, developing customer management systems and introducing an unprecedented degree of channel and product integration and process improvement. This led to the launch of the Woolwich Open Plan customer proposition, integrating current account, savings and mortgage across all channels. This was the first proposition of its kind to achieve critical mass in the UK. – During 2001 John also worked as Woolwich Integration Director in the successful merger with Barclays.